The objective of this project is to animate an anatomical model, a human anatomy for example, using real performances captured with a multi-camera system. 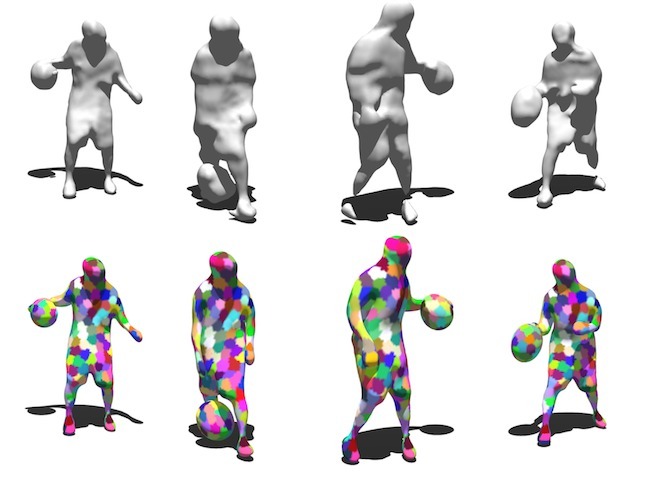 The project will build on recent works performed in the Imagine team, on anatomy transfer , and in the Morpheo team, on shape tracking  (see images below). The idea is first to recover, from multiple images, the locations of shape points, in space and over time. Given this information, in a second step, an anatomical model will be animated by fitting its external surface to the observed shape points. Anatomy Transfer, SIGGRAPH Asia 2013. Click the image to go to the publication page.